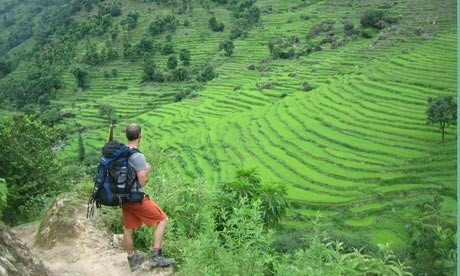 The so-called Guerrilla Trek offered by Swiss Nepal Family Trekking passes through remote settlements where rebels once sought cover from army bombing raids during the insurgency. It is one of the new routes into previously closed areas being promoted during Nepal Tourism Year 2011 (NTY2011). The 13-day trail climbs steeply up to altitudes of nearly 4,000m (13,000ft) and temperatures are subzero during the winter. Tourism chiefs, who clearly have faith in the stamina of foreign visitors, hope the new route will help double tourism numbers to a million.